With our experienced work force, we are engaged in manufacturing, exporting and supplying high quality Toggle Blocks. We have gained appreciation for the quality of products like corrosion resistivity and durability. Various sizes of these toggle blocks are available with us and we also offer customization for our clients. Our organization can place the order capacity of minimum 10 metric ton/metric tons. For providing complete satisfaction to our clients, we quality test these products on various parameters. 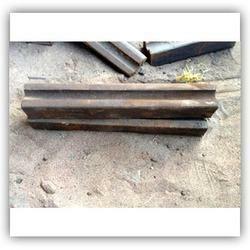 Our team is delicately engaged in offering Jaw Crusher Side Plate. The entire range is manufactured using optimum quality raw material and latest technology in compliance with international set standards. Clients can avail these products from us at reasonable prices. Well appreciated for accurate dimensions and longer service life, these products are widely demanded by our customers across the country. We manufacture the Manganese Steel Jaw Plate, keeping in mind the requirements of Mining Queries, Ore Processing Plants, Power Plants, etc. 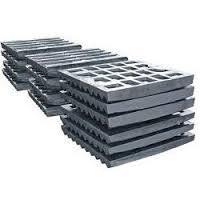 Small quantity orders are accepted by us for the Manganese Steel Jaw Plate, which is made available at highly affordable prices in the market. Owing to the years of industrial experience, we have been able to serve our valued clients with an extensive range of Toggle Bearings. These bearings are designed precisely in conformation with the industrial standards. We use high grade raw material for the manufacturing of these items that makes them durable. Our clients can avail these bearings in different dimensions and grades as per their requirements and demands. 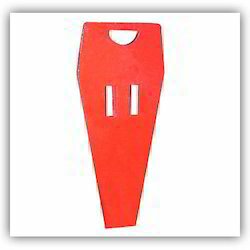 We are involved,exporting and supplying high quality range of Jaw Plates. 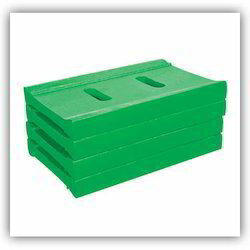 Used for a variety of challenging tasks, the plates offered are highly functional and durable. With its availability in a weight range of 500 kg single pieces the manganese steel crusher jaws are largely accepted within the market. Chromium, Morley and Manganese are also a constituent material of our products which are in compliance with IS 276 standards. Customized facilities of these crushers are also available.